Home assistants are experiencing huge growth at the moment. Whether it’s the Amazon Echo, the Google Home or Apple’s latest assistant, the Homepod… Every home is getting one. 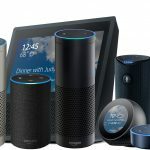 Amazon has already sold tens of millions(*) of their Echo devices in 2017. Our development team have been looking into this area because we thought that all radio stations should have a place in everyones home (and vehicles) using this latest technology at a reasonable price and without having to invest in high development costs. We’re now very pleased to announce the launch of our latest service in partnership with Amazon, the ‘Alexa Skill for Radio‘ service. A ‘Skill’ is the term given to the Amazon Alexa assistant and allows users to give commands to the devices via the Alexa voice assistant. Imagine it as an app that you install on a mobile phone. Using our ‘Alexa Skill for Radio‘ service, we can make YOUR radio station available to millions of Alexa-enabled Amazon devices. People around the world could be listening to your station with a simple “Alexa, play your radio station name“. Previous Post: Which plan should I choose?